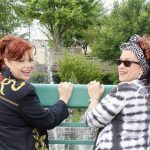 Redheads, Rednecks, Rockabilly Themed Weddings & Other Creative Requests… – The Pawning Planners – Need or desire a dream event? We take trades! It’s not uncommon for a previous client to contact me about a friend or relative needing services. In fact, it’s a regular occurrence. My team and I have booked numerous events for not only friends of previous clients but also, the family members of previous clients. When our previous clients need a birthday party coordinator, they call Texas Twins Events. 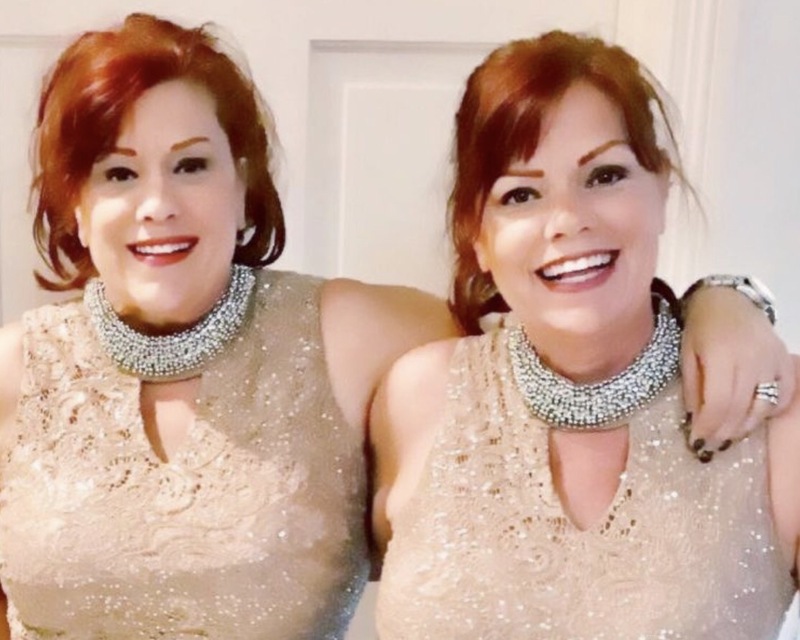 When they need a baptism, they still call Texas Twins Events. If they plan to barter, they contact us through The Pawning Planners. We treat every client like family and because we do, we earn the loyalty of every client we’ve ever had. Trying to educate others to the virtue of building relationships rather than sales isn’t easy but, I’ve been in sales all of my life and rather than forgetting my last sale, I continued to stay in touch with former clients. Relationships outlast sales quotas. All of my former clients and their friends or family members are viewed as friends. The new trend for camo themes continued to surprise me. From camo cakes to camo wedding dresses and just about anything else in between, apparently, the couple that hunt together stay together. 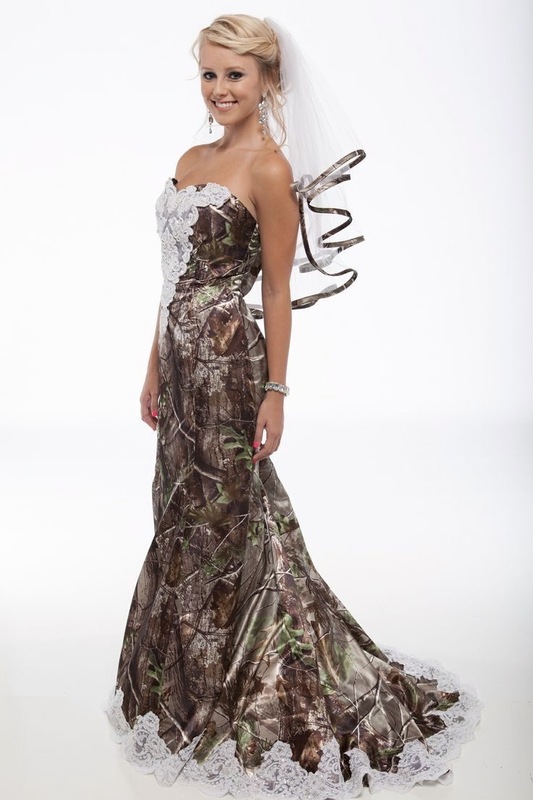 Brides marrying in a camo wedding dress with matching veil, are becoming more and more prevalent in not only Texas but also Oklahoma, Arkansas, Mississippi, Georgia and other states. I had no idea that the popularity of camo would endure. Apparently, I was wrong. Kat and Tiffany waited patiently to be “allowed” to finally purchase their marriage license. 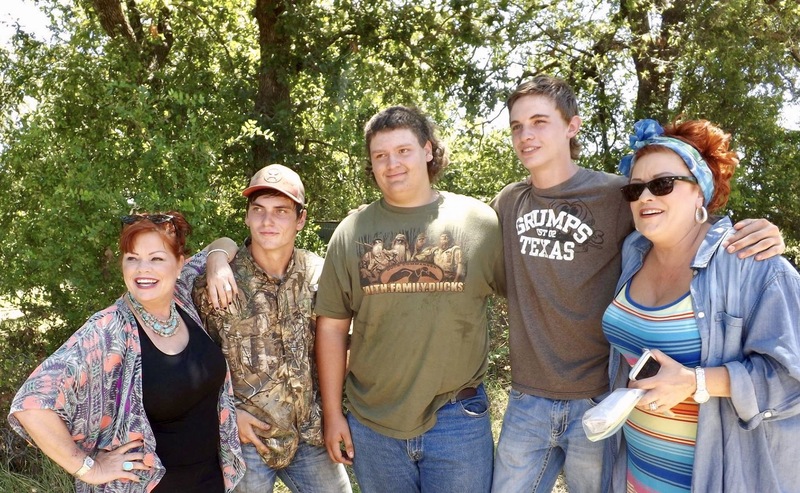 Not surprisingly, their story (First LBGT Couple in Parker County marry) also made the news in Weatherford, Texas. Referral clients compromise a huge portion of all my businesses. 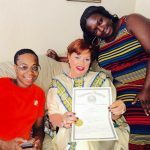 From Prison Wrddings to LBGT Couples booking through Texas Twins Events or new clients booking through The Pawning Planners, it would surprise you just how many of our bookings were from a referral of a previous client. Kat had contacted me through FB after I had married her friend, Lisa and Terry at Rudy Smedleys karate studio. 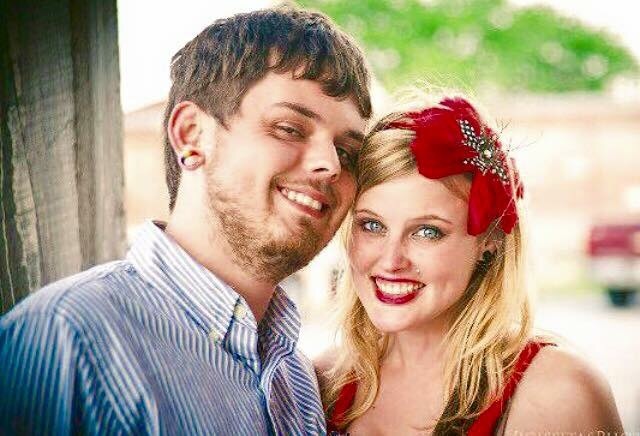 I had called my son and daughter in law, Robert and Stephanie Hafele to handle photography for Kat and Tiffany. Robert and Stephanie often work as a team at larger events. Robert and Stephanie had handled photography for not only Lisa and Terry but also Kat and Tiffany. I advised Kat that I was available on March 22nd as it was a Friday and I’m normally at Prisons on weekdays. I left the date open as I’m booked every weekend and most weekdays in March. Trying to find a day off during wedding season when you work Monday through Friday officiating Prison Weddings and every weekend officiating or coordinating “traditional weddings” isn’t easy. Due to our booking schedules, a wedding in March is a “squeeze.” March is one of our single busiest months of the year. But, a wedding at 2PM on a Friday would “work” for me. Kat asked if I “had any camo vestments?” I don’t but, I sent several photos of green vestments that were a bit too formal. Visiting my closet, I found an old pair of camo jeans. 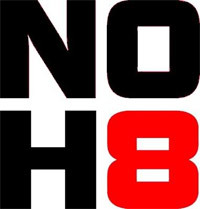 I called my niece, Leigh Ann to handle photography for the March Wedding since Robert and Stephanie were already booked. Cindy will be joining me on location for the March wedding. The wedding party has 21 people which is significantly more than usual but, I’m looking forward to this unique experience. My twin sister often refers to herself as the Redneck Granny and I’m certain Cindy will fit right in with the new friends of the Texas Twins. My son and his wife, Robert and Stephanie always work as a team and also handle County Jail Weddings as Officiants when I’m unavailable. 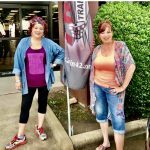 My twin sister and business partner, Cindy, is always with me on location and works with me to make Dream Events a reality. Cindy is hilarious and never at a loss for words. We put her comic talents to work on our Pawning Planners Apparel line. 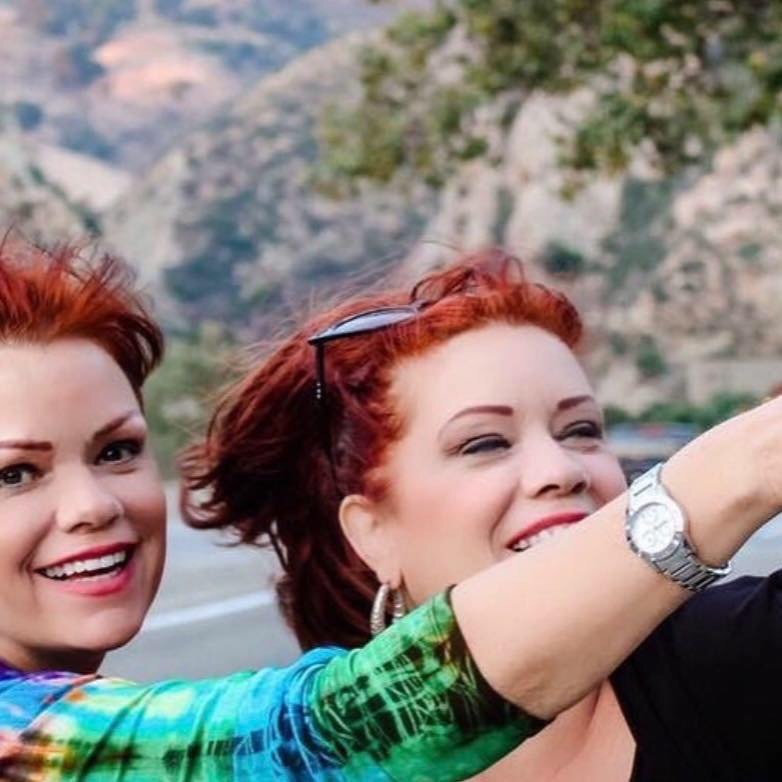 #Cindyism Quotes are available in forty languages and our custom apparel line sells worldwide from our Texas Twins Treasures storefront. Cindy keeps me laughing. Today while in Palo Pinto County attempting to locate a farmhouse for clients that had scheduled an Appraisal Appointment, Cindy and I stumbled into a group of hunters. Sure, I was surprised and concerned about getting shot at in the country but, Cindy laughed and said “hey friends, we are trying to get to the Marshall Farm. We are The Pawning Planners and… we are lost.” It’s rare for me to unwittingly accidentally trespass but, on back roads and remote areas, it can and does happen. By the way, these three hunters were real life rednecks ya all. As usual, Cindy “won over” the surprised group and luckily, we were directed to the right farmhouse nearby to meet our clients. The truth is that when you are driving to fairly remote areas, cell signals for navigation can be less than reliable. Normally, Cindy and I both put directions into our phones and have “dueling directions” on our adventures. We play the odds as to who has better directions on a daily basis. Kat had told me about the camo theme which is rare but not all that unusual in Texas or Oklahoma. Over the years, I’ve been asked to dress up as Elvis or asked to wear wedding colors. Normally, I wear a vestment or suit to weddings but, I’m flexible regarding attire. I ordered my camo jacket/blazer on Amazon this morning. 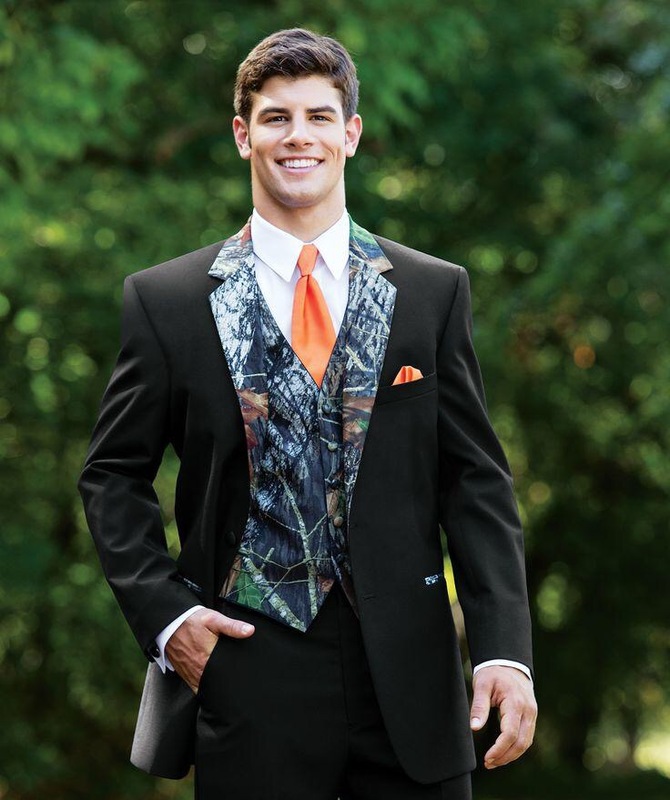 It’s surprising to me that camo has broken into the formal wear business but, it has. Even antler bouquets are becoming popular. The first time I had even heard of camo at a wedding was Honey Boo Boo. I was standing in line at Albertsons when a rag mag caught my eye. Who knew that Honey Boo Boo would be a trendsetter? 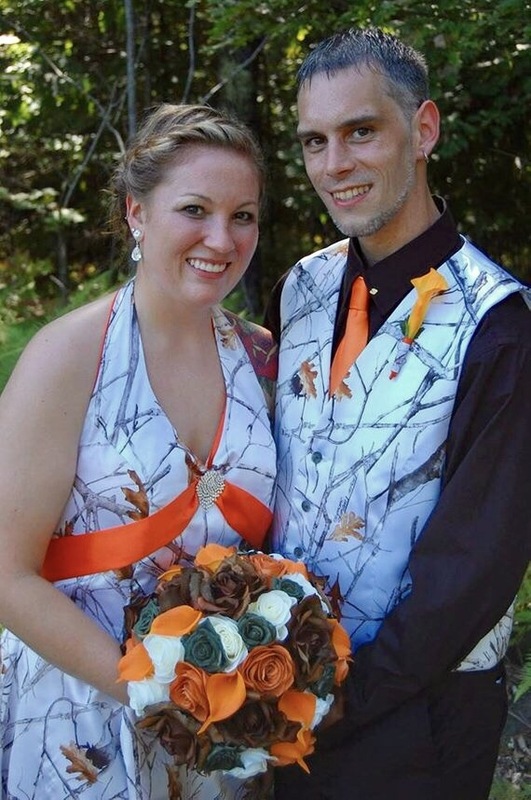 Nowadays, couples even dress alike in camo inspired formal wear for proms and weddings. 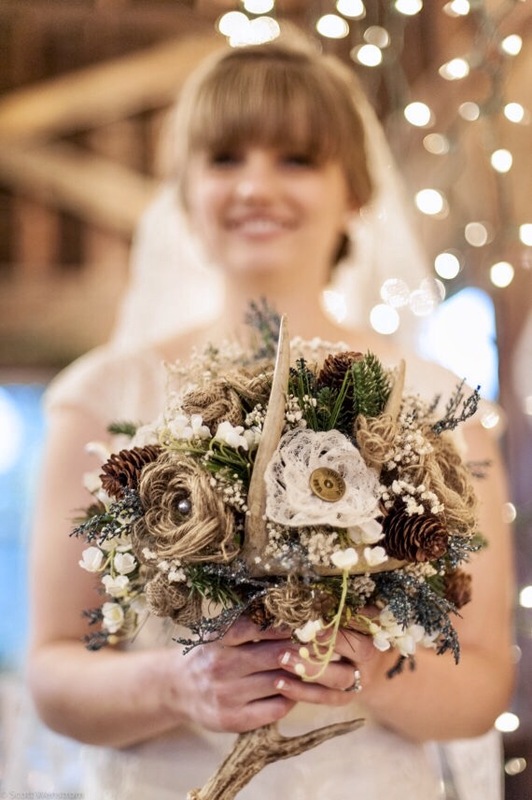 Orange and brown bouquets with hints of army green pay homage to generations of hunters. While this camo inspired “look” might not be for everyone, the popularity of camo themed events would surprise you. From Rednecks to Rockabilly lovers, camo is literally making a comeback. I have no idea why but, I’m rolling with the trend. Camo with rhinestone accents? Check. Camo with ruffles and petticoats? Check. Camo with boots or high heels? Anything goes. A few years ago, Lisa and Terry wanted a 50’s themed wedding. I found poodle skirts for the flower girls and the bridesmaids wore polka dot dresses. To tie the theme together, I chose red, white and black bouquets and bouteniers and, I was shocked when someone commented “what a great Rockabilly wedding!” At the time, I had no idea what Rockabilly meant. Rockabilly is one of the earliest styles of rock and roll music, dating back to the early 1950s in the United States, especially the South. As a genre it blends the sound of Western musical styles such as country with that of rhythm and blues, leading to what is considered “classic” rock and roll. Rockabilly wedding dresses are often 50’s themed and hairstyles mimic the same era. 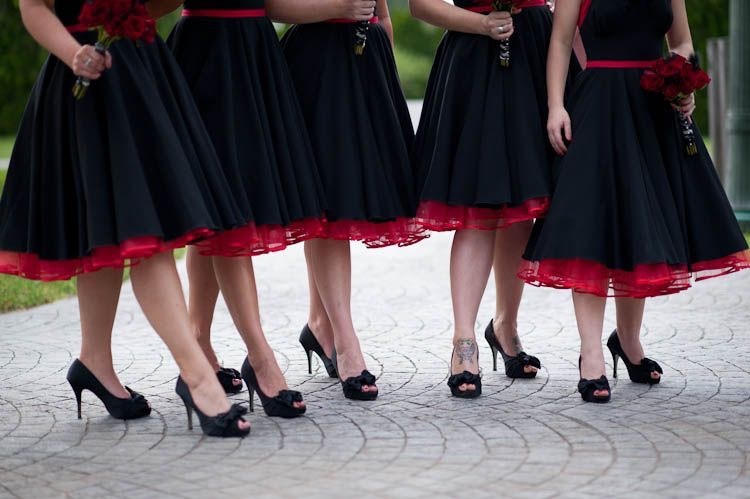 Pinup styles keep the them flowing with the colors black or red often dominating the wedding. Pinstripes. Zoot suits and chains also add fun to the theme. Lisa and Terry didn’t plan on marrying at a karate studio. Frankly, I didn’t either. But, Texas weather changed our plans of marrying at a beautiful park in Granbury to Rudy Smedleys Karate Studio. We needed a building and I had a short window to find one. My twin grandnieces were students of Rudys so, I called him to “borrow his building.” Within hours, my team and I transformed a karate studio into a venue. It wasn’t easy but, the wedding was beautiful and memorable. The flower girls wore poodle skirts I had found while thrifting at an area flea market. 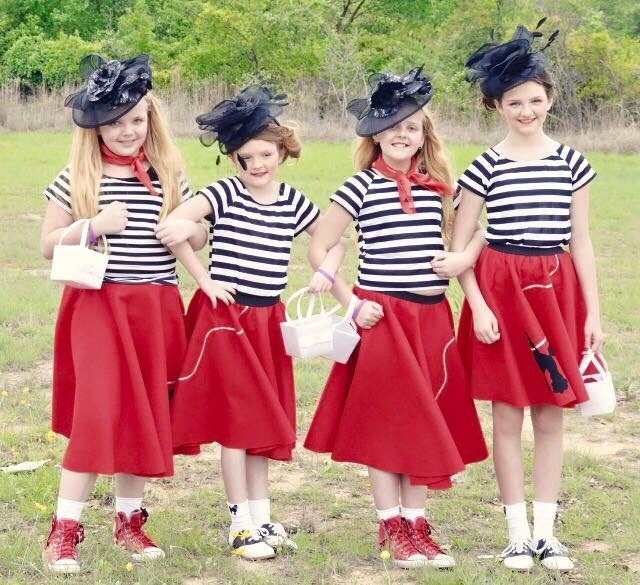 Rather than polka dot tops, we chose stripes and Cindy created the elegant fascinator hats. The Williams Wedding was on a short time frame. Lisa’s grandfather was in bad health and we had less than a month to pull everything together. It took my entire team working together to get everything done. 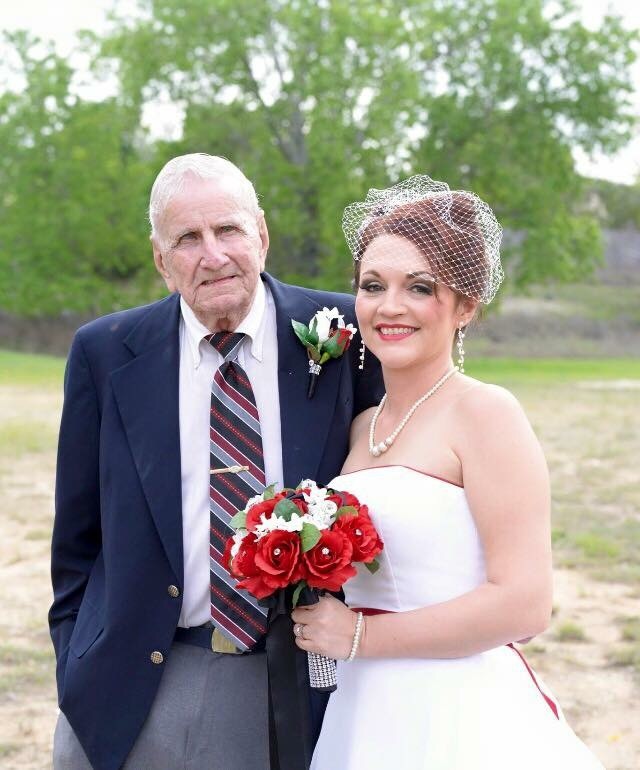 Lisa’s grandfather was in bad health and his final wish was to walk her down the aisle. 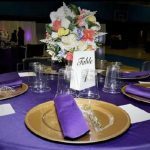 Lisa and Terry bartered their Event through The Pawning Planners. It’s rare to barter a themed event due to the expense. 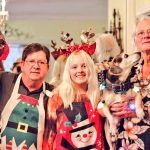 But, thanks to the help of Lisa and Terry’s friends and family dressing to match the theme, everything worked well and costs were kept low with a free building courtesy of Rudy and his wife Cindy. My floral designs “pulled everything together.” Lisa’s grandfather was a hoot and I’m sorry to say that he’s no longer with us. 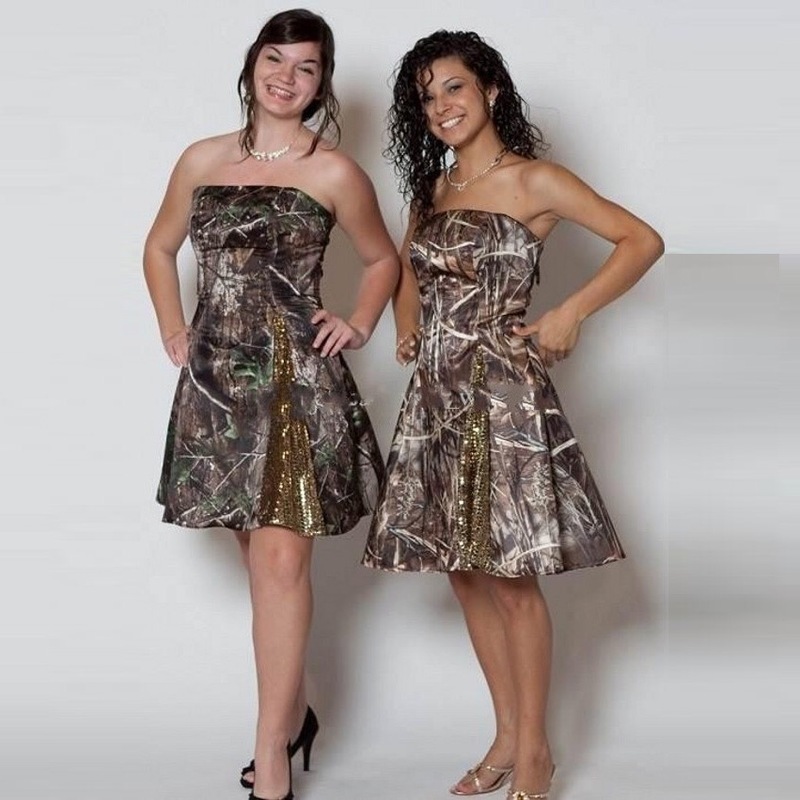 The March Wedding will be full camo with the bridesmaids wearing camo dresses. I will be wearing a camo suit, cowboy hat and boots. 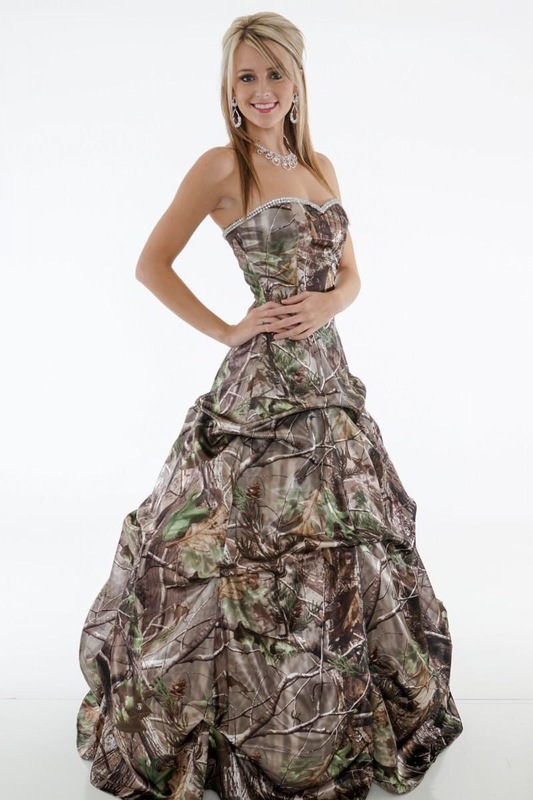 Most camo themed weddings also feature shotguns for photo props although this hasn’t been discussed with my client. I’m meeting her tomorrow to go over the details that include incorporating her daughter into the wedding ceremony. 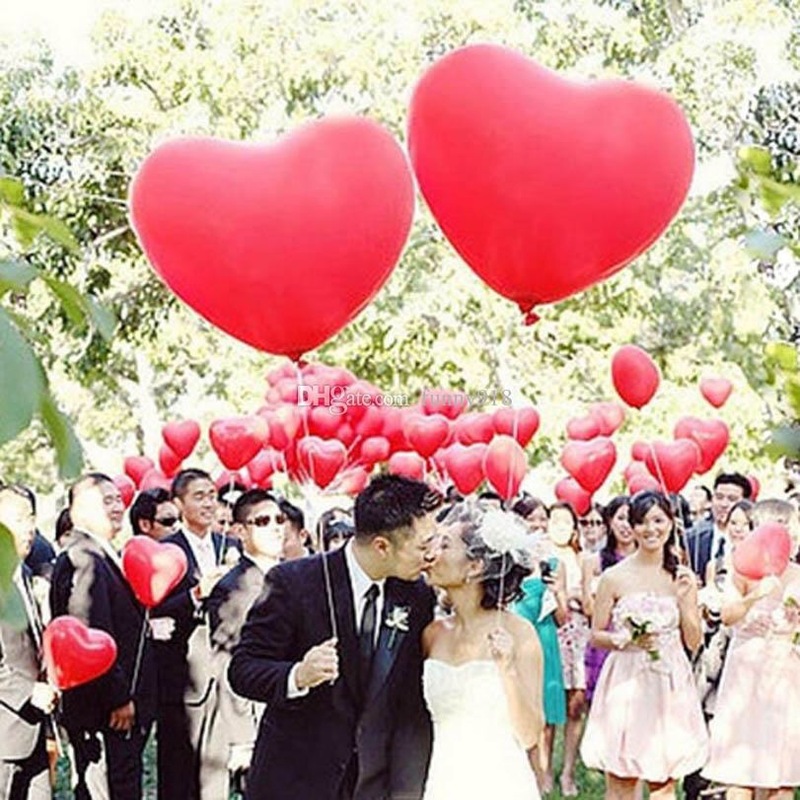 I love creative input for wedding ceremonies. 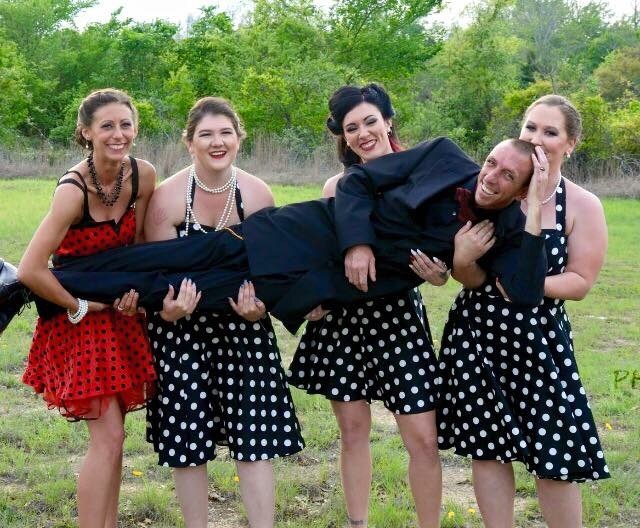 Whether you opt for a Rockabilly theme or even a Redneck theme, a good sense of humor brings fun to your event. On Tuesday, Cindy and I are back at the beautiful Shady Oaks Country Club for a Texas Twins Events corporate client. It’s fun to dress up for one event and dress down for the next. Cindy and I are never bored with a wide range of clients. This Thursday, I’m back at Sanders Estes Unit. It’s rare to Officiate Prison Weddings on Valentines Day but, I’m looking forward to an array of fun props for our bridal photography shoot. Balloons bring fun to my impromptu photo shoots near Texas Prisons. Since the requests for an Elvis Officiant continue to pour in, it should be noted that I can dress up like Elvis but, I certainly can’t sing like him.